Get out your hairbrush and warm up those vocal chords because Mamma Mia! Here We Go Again is ready to hit the stage. Set ten years after the original, the sequel catches up with Sophie, now pregnant with Sky’s child. The pregnancy brings back memories of her mother Donna’s younger years, with specific focus on how she met Sophie’s father figures. 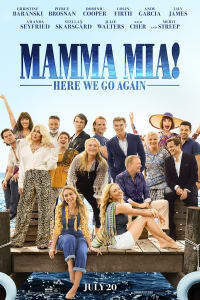 With Amanda Seyfried, Meryl Streep, Dominic Cooper, Christine Baranski, Julie Walters, Pierce Brosnan, Stellan Skarsgard and Colin Firth all reprising their roles from the original film, and Cher and Lily James joining the cast, Mamma Mia! Here We Go Again promises to be quite an adventure. Even now, a month away from the release of Mamma Mia! Here We Go Again!, it’s hard to believe we’re even getting a sequel to the movie musical. Such musical sequels are rare, likely because few of them have been well-received in the past. Regardless of what critics thought of them, however, here are a few that are worth checking out before Mamma Mia! Here We Go Again hits theaters. Perhaps the most famous movie musical sequel of all time was controversial when it hit theaters back in 1982. As you probably guessed from the title, the film is a sequel to Grease, so it had a lot to live up to. While the all-new story and mostly new character set didn’t go down well with moviegoers at the time, Grease 2 has become a cult classic. It’s easy to see why people still enjoy it..
Amidst all the new elements there’s a reversal of gender roles, as Michelle Pfeiffer’s Stephanie Zinone is the cool kid, and it’s nerdy Michael Carrington (played by Maxwell Caulfield, later to feature in Empire Records as the loutish Rex Manning) who has to transform into a cool rider to catch her eye. Filled with fun setpieces and incredibly catchy hits, Grease 2 is just as enjoyable as its predecessor. Fanny Brice (Barbra Streisand) told us that she was the greatest star in Funny Girl, and she continued to prove that truth in the film’s sequel, Funny Lady. Following the success of Funny Girl in 1968, it was all but inevitable that a sequel would be commissioned. Streisand initially refused to do a sequel, but she was eventually a willing participant after being impressed by the script. Funny Lady was a highly-fictionalized account of Fanny Brice’s later years and her marriage to songwriter Billy Rose. While it did receive a few Academy Award nominations, Funny Lady never quite replicated the success of its predecessor – but it’s still worth a watch. Annie has been remade several times, but the 1982 film version remains the greatest. Did you know, however, that the sun continued to come out in a follow-up sequel? Well, sort of. Annie: A Royal Adventure! was a 1995 made-for-television sequel. Despite the fact that it followed the stories of Annie, Daddy Warbucks and Miss Hannigan, none of the 1982 cast members reprised their roles. Set several years after the original, Annie and Warbucks travel to England so that Warbucks can be knighted by the King. 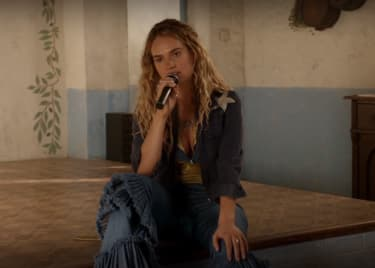 Interestingly, despite being a sequel to one of the most famous movie musicals of all time, the only musical number in A Royal Adventure is a reprise of the signature Annie song “Tomorrow.” We know we’ll get a lot more out of the second Mamma Mia story, however. Mamma Mia! Here We Go Again hits theaters on July 20, 2018.